Change happens. We'll help you manage through it. In healthcare as in business, the only constant is change. When changes to internal processes, technologies or partnerships are on the horizon, it can be beneficial to have an advisor walk you through the potential security and compliance implications. ControlScan stands ready to partner with you in ensuring that your strategies are sound and that the result is a solid foundation for long-term, ongoing HIPAA compliance. We take a unified approach to security and compliance, ensuring that your efforts and investment strengthen both. We'll work side-by-side with your team to identify and remediate risk. 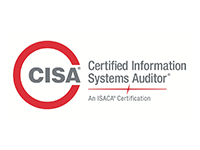 This may include building and prioritizing lists of action items, interpreting compliance requirements to ensure remediation efforts are appropriate, and understanding the necessary evidence that must be gathered and stored in preparation for any future HIPAA audit or investigation. We can also help you understand the implications of business-model changes or the potential pitfalls in a new app design. ControlScan HIPAA advisory services are your road map to security and compliance. HIPAA advisory that leaves no stone unturned. Regardless the question, we're here to help your team arrive at the best answer for your organization. 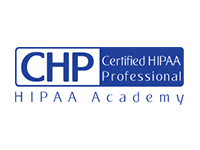 ControlScan HIPAA advisory adopts a holistic approach, as security should not be contained to just one area of the business; it’s critical to view security comprehensively to reduce risk to the organization at large. For example, a remediation assistance engagement includes a review of any assessment or gap analysis work that has been done, ensuring that the context of the environment holding protected health information (PHI) is well defined and the gaps and weaknesses surfaced are clearly identified. We'll also work with you on a project-by-project basis as individual needs arise.